This website already contains quite a sufficient number of prophecies and predictions to bring together the picture of what’s going on. Nonetheless, so far there are ten non-believers per one believer, and non-believers strongly doubt what we make major emphasis on. It is worth reminding that our goal is not to earn money or electorate, but we are guided by the only idea, which looks almost crazy on the face of it, to communicate to humanity that currently He – Imam Mahdi, the Holy Spirit, Maitreya, Mashiach, Geser Khan, Kalki Avatar... – indeed resides in the secular world, and that awareness of such an incredible fact is significant not for a separate country or nation, but for the whole mankind! 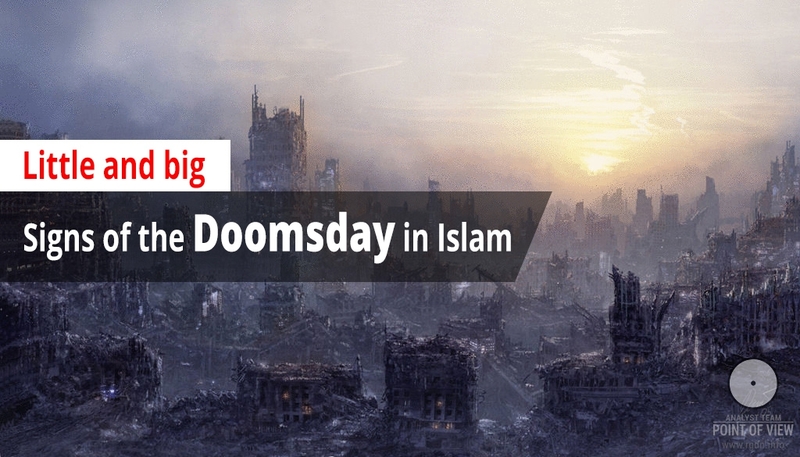 Herein we will look at little and big signs of the Doomsday as described in Islamic sources. Each of the earlier prophets asserted the Doomsday would not come until the emergence of the last Prophet (peace be upon him). The Prophet (peace be upon him) himself said, pointing with his index and middle fingers, “The time of my advent and the Hour are like these two fingers.” This means no other prophets are to follow him. 2) LITTLE SIGN No. 2: a war (collision) between two great Islamic states. 3) LITTLE SIGN No. 3: “a bondmaid will give birth to her own mistress”. Perhaps, this means the following: children will be disobedient to and will boss around their parents as it takes place today. Moreover, there is an interpretation that poor people who could not afford buying shoes will erect big houses, i.e. poor people will rapidly grow rich. 4) LITTLE SIGN No. 4: people will start sinning a great deal, committing adultery, drinking alcohol, etc., which will anger the Almighty. When Umm Salama asked the Prophet (peace and blessings be upon him), “Will Allah be angry at everyone if there are good people among humanity?” “Yes,” he responded. 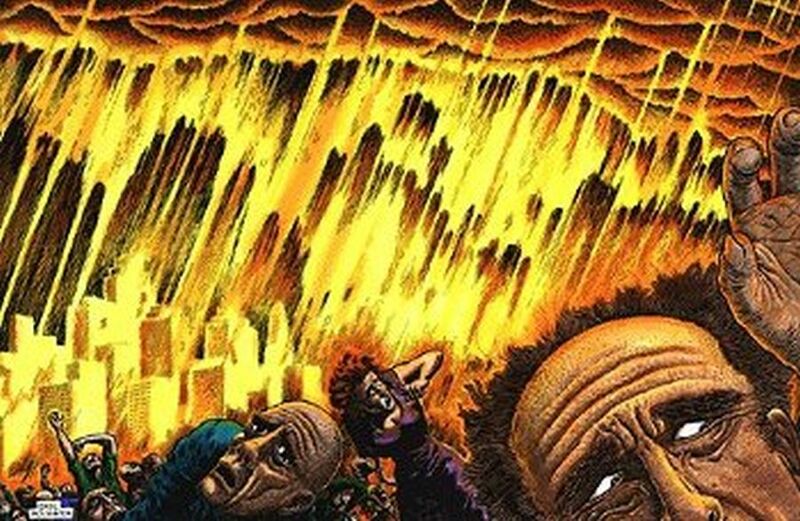 At that, should we think of mass propaganda of homosexual and other perversions as taking place at the national level in many countries of the world, the story of Sodom and Gomorrah automatically comes to mind. 5) LITTLE SIGN No. 5: extinction of knowledge and scientists, spreading of ignorance. The society will be ruled by uneducated people. Many will start considering themselves scientists, give advices to others and release their own Shariah resolutions. People will mostly follow such false scientists, reliability and devotion will vanish in the society. When a man asked the Prophet (peace and blessings be upon him), “When will the Doomsday come?”, he answered, “When hope and faith in people disappear.” “When will this occur?” “When ignorant people will rule, and treachery and meanness will prevail in the society.” Doesn’t this look like nowadays? 6) LITTLE SIGN No. 6: increase of the number of women relative to the number of men. In some counties the ratio will be 7 to 3, 7 to 1, and even 50 to 1. 7) LITTLE SIGN No. 7: emergence of false prophets (about 30 according to the Hadith). 8) LITTLE SIGN No. 8: increase of the number of earthquakes and natural cataclysms. Suffice it to look at the current statistics of earthquakes, natural disasters and anomalies. 9) LITTLE SIGN No. 9: time will accelerate. This is to happen because the gentleness of time vanishes. People will wonder how they will manage to accomplish something within a day or learn a discipline within a year. Can any adult now say he or she does not notice such a phenomenon? 10) LITTLE SIGN No. 10: increase of the number of murders. We won’t even discuss this fact. 11) LITTLE SIGN No. 11: there will be so many rich people that one will be unable to give out zakat. 12) LITTLE SIGN No. 12: the prophecy will be completed. All these are little signs. They have already come true as a matter of fact. 1) BIG SIGN No. 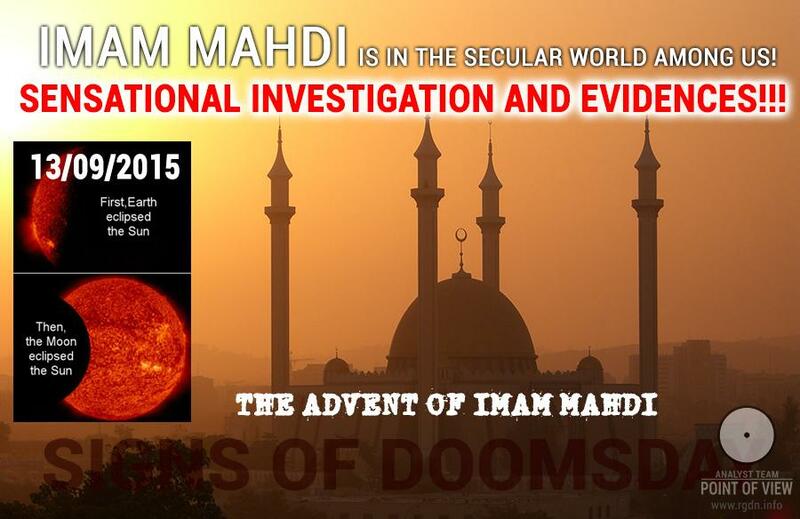 1: emergence of Mahdi – the just leader of Muslims. We believe this has already happened! See three recent interviews A Frank Dialogue about the Most Important" (20.08.2015), The Meaning of Life: Immortality (7.09.2015) and Unity (27.09.2015). 2) BIG SIGN No. 2: the sunrise and sunset in the west. After this sign Allah will no longer accept repentance of neither non-believers nor recreant Muslims. On that day many will want to adopt Islam, while many will deny this sign, explaining it by a physical phenomenon. Yet, this day will be marked in history and observed. Via this sign Allah shows His omnipotence. People of all ages know about the sunrise and sunset, thus Allah has chosen it to re-establish His absolute power. 3) BIG SIGN No. 3: emergence of a talking animal that will address people, dividing them into Muslims and non-believers. The animal will appear on the same day when the sun rises in the west, and it will also emerge in the west. 5) BIG SIGN No. 5: emergence of Al-Masih ad-Dajjal who will declare himself God, but he will be a liar. All prophets mentioned him. Moreover, Prophet Muhammad (peace and blessings be upon him) described him in detail, “He will see with one eye, while his other eye will be covered with two eyelids and see poorly. He will say, “I am god.” However, God cannot be semi-sighted. His hair will be coarse, twisted and tangled.” Ad-Dajjal will be so evil that our Prophet (peace be upon him) asked Allah to have mercy on that day. 6) BIG SIGN No. 6: resurrection of Isa (peace be upon him). This sign may have an allegorical meaning. 7) BIG SIGN No. 7: emergence of Yajuj and Majuj nationalities. Those will be people with strong bodies, who will spread lechery and everything bad. There is a lake between Syria and Palestine. Passing by it, these people will drink all its water, and when the last of them passes by he will say the lake used to be there. This evidences their might and power. There are no records of their location. Some Muslim scientists believe they are beside the Derbent Wall, others think they are near the Great Wall of China, whereas the truth is known to Allah only. Great Allah will destroy these mighty people by means of a trifling thing: He will create worms that will penetrate into their bodies and kill them. 8) BIG SIGN No. 8: three large earthquakes – one in the west, one in the east, and the third one on the Arabian Peninsula. 9) BIG SIGN No. 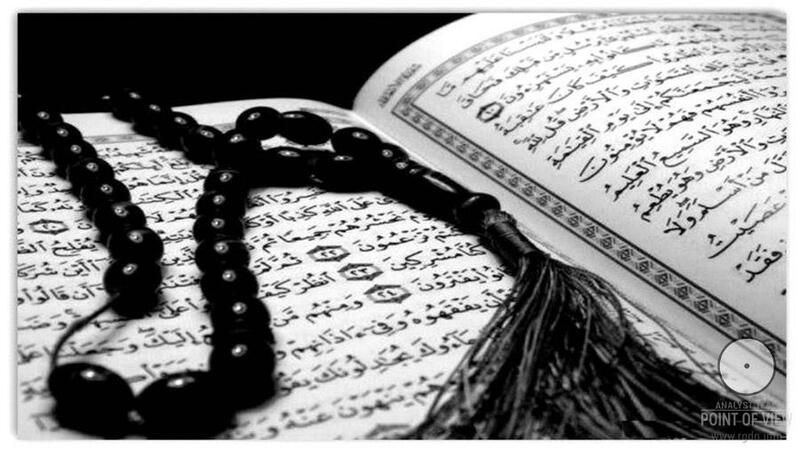 9: raising of the Quran. Allah will take away all Holy Writs when no single faithful believer remains on the earth. 10) BIG SIGN No. 10: no faithful believers will remain. 11) BIG SIGN No. 11: a light pleasant wind will blow, by which Allah will kill all believers. Kaaba will vanish. 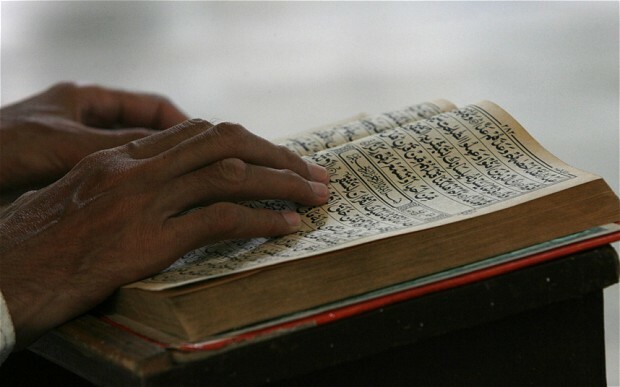 Islamic scientists say that people from Ethiopia will storm into Mecca and start ruining Kaaba. Once they do this, Allah will take it away. 12) BIG SIGN No. 12: emergence of a big fire in Yemen, near the city of Aden. All people of the earth will run away from it and eventually gather in one place, while the fire will spread all over and surround people. It will come so suddenly that you won’t have time to eat a piece of bread, conclude a deal or drink a mug of camel milk. On the Judgement Day great Allah will destroy the Universe in the way a minaret is ruined. The earth will start shaking with everything on it. The temperature will be very high, and even the water will burn. The sun will approach the earth. Everything in the Universe will mix, including the planets. By Allah’s behest Israfil will start blowing his horn, and all living things will perish except Single God. We will not dare judge all the big signs, since any judgement would be purely hypothetical. 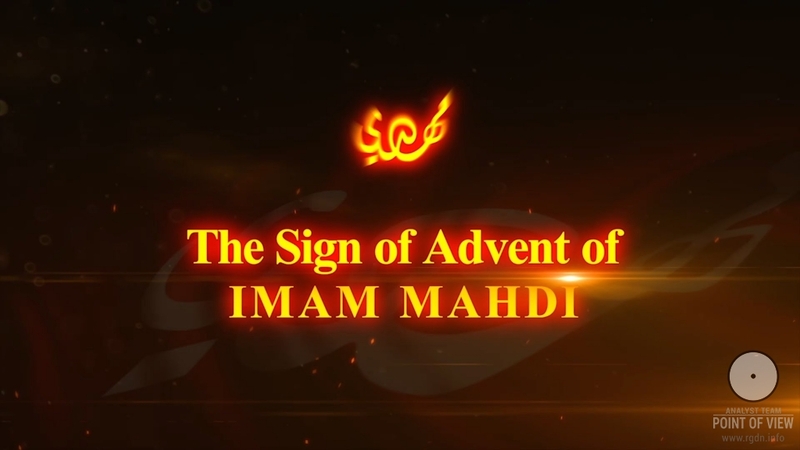 However, we cannot disregard the first sign – the advent of Imam Mahdi. His advent (or rather appearance after concealment) has already taken place! Suffice it to compare analytical data that are current available. 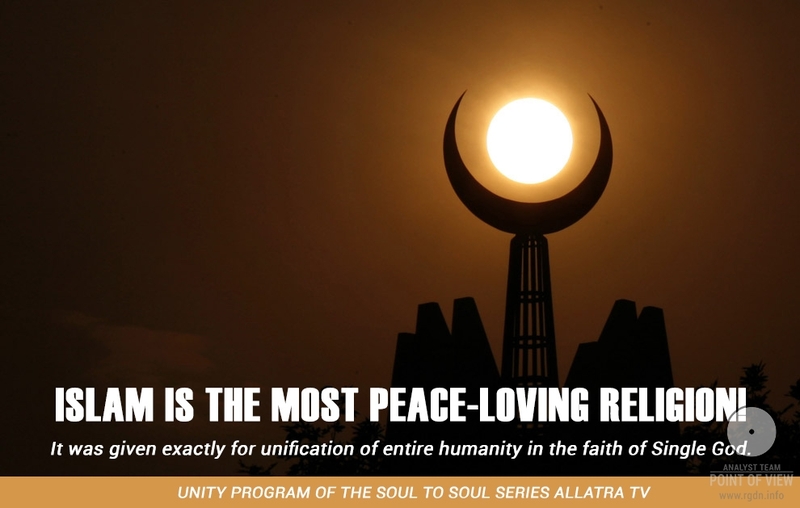 The release of the recent Unity program on AllatRa TV is actually the announcement of His arrival by Imam Himself! Some people will certainly have doubts, but, as one classical author said, if somebody does not admit the Truth that doesn’t mean the Truth does not exist! May the Almighty and Most Gracious Allah have mercy upon all of us! May He accept our repentance and our entreaties of forgiveness and salvation!